Hello everyone! I know, it's been months since the last time I wrote in this dev blog... But I haven't been staring at the ceiling or watching the grass grow, I made a lot of progress in Winds of Trade, I swear! I'll write about that later, though. 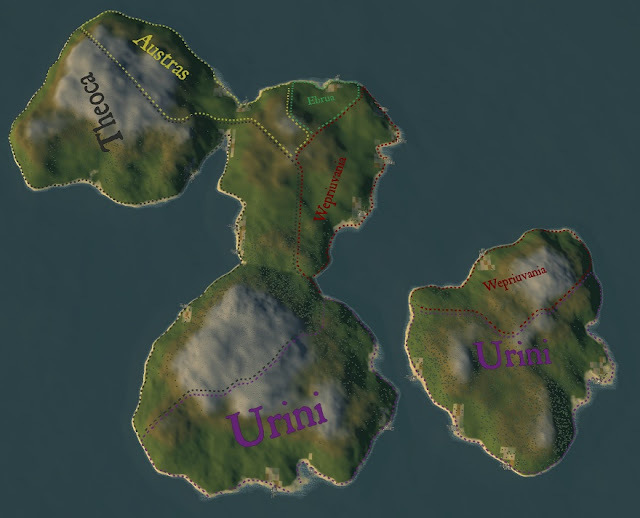 Today I want to share with all of you how I implemented the algorithm to put labels for the procedurally generated countries on the map. 1) Identifying every contiguous region in the map. 2) Finding the best orientation (rotation) for the label. 3) Deciding where to place the label.